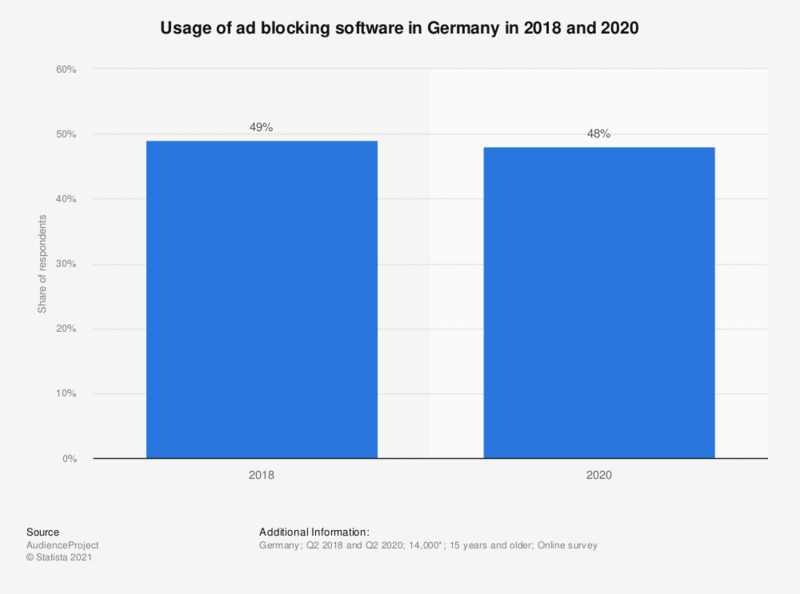 This statistic shows the survey on ad blocker usage in Germany in 2018. According to the survey, 49 percent of the respondents used an ad blocker, while 45 percent did not. Six percent of respondents said they didn't know if they used ad blocking software.